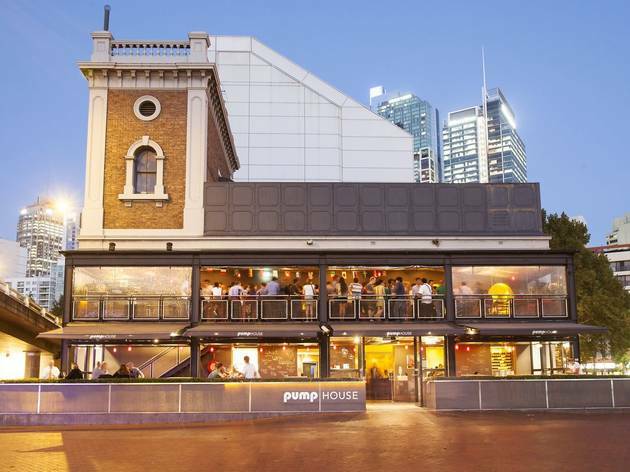 Pumphouse Bar, located in the heart of Darling Harbour, was originally built as a pumping station in 1890 to pump water from Sydney’s water supply tank (still visible at the bar today) to destinations across the city as a power source. 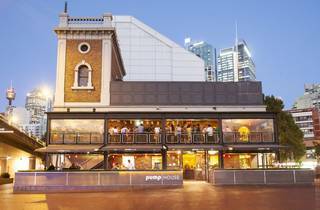 The building was saved from demolition in 1975 by the Heritage Council of NSW and is now leading the craft beer revolution and pumping beers into our pint glasses. Today, over 75 local and international beers are stocked at Pumphouse Bar, including the original Thunderbolt Strong Ale, brewed by the Tank Stream Brewing Company exclusively for Pumphouse for over 40 years. This highly-hopped amber ale pours like a liquid bullion in the glass and is best enjoyed with some beer battered flathead or some beer braised pork ribs on the balcony at the re-vamped Pumphouse Restaurant.